I’m a practicing Hindu, Azeem a practicing Muslim, and both of us have had numerous conversations on spiritual practice over the years. While there are differences in our religious traditions for the most part our laws on piety, charity, karma, and numerous other principles are the same. It’s not our personal opinion to follow these practices but rather what the teachings of our traditions tell us to execute in our daily lives. The instruction given to us by our teachers/gurus along with the histories documented in our divine books may differ, but the objective of our spiritual paths are virtually the same. We’ve had discussions on how something which should inspire people to better themselves is instead manipulated and portrayed in a negative light. The public is constantly bombarded by media stories of religious conflict. Because of our South Asian backgrounds we’re especially bothered by the consistent focus in the news about violence between Hindus and Muslims. One purpose of this blog will be to counter the misconception that Hinduism and Islam can’t co-exist together. We’ll post news stories ignored by the media documenting unity between both communities. Working and living together peacefully with no quarrel, taking care of each other’s temples and mosques, and celebrating each religion’s holidays and festivals side by side. And we’ll honor the lives of saints and seekers who worked to reconcile both paths such as Shirdi Sai Baba, Guru Nanak, Kabir, and numerous others. We want to add our voices to balance out the negativity that exists surrounding organized religion. It seems the religious landscape is dominated by two groups of people, the 1st one being extremist. Rather than cultivating devotion or working to reduce suffering, they instead focus on fringe issues. Spiritual practice focuses on God-realization but fanatics prefer to politicize religion for their own selfish purposes. Somehow extremists get the most publicity while leaders and communities promoting humanitarianism or self discipline seem to be largely ignored. Its not hard for extremists to manipulate people and gain supporters. Since most people haven’t explored their religion’s core at a deeper level, it’s fairly easy for zealots to proclaim their beliefs are backed by God’s word. It’s then no surprise why so many followers accept rhetoric as absolute truth. Likewise, the press, missionaries, and others can just as easily convince the public that a particular religion encourages evil, simply based on the fact that people haven’t troubled themselves to study various traditions. The other group on the scene misconstruing religion are general or casual followers of particular faiths. While clearly not dangerous or fanatical, they’ve done a disservice to themselves by not taking the time to examine the tradition they identify with. And even though they’ll admit they’re uneducated on the full scope of what their tradition actually stands for, they generally feel their religion is superior to others. I’ve had conversations with people of different religions where they’d claim their particular practice was the best. When asked if they’ve gone through their holy book(s) from cover to cover as well as books of other systems they generally say no. This seems really odd. Their religion is the best yet they’ve made no effort to know their own faith inside and out? Their sacred writings are superior but they’re clueless on the texts of other systems? How did they determine that other beliefs are inferior when they can’t even compare doctrines? How does one decide their religion is the best with a very basic knowledge of it? The fact that Facebook groups like “Hindu Pride” and “Proud to be Muslim” exist is truly ironic and shows that the tens of thousands of members in these groups lack understanding of their own tenets. In virtually all religions, pride and ego are considered major obstacles for those desiring to reach the most High. Gita 16:4 refers to pride and conceit as the “qualities of demons.” And Quran 31:18-19 commands people to do away with arrogance and “walk humbly.” In both books, devotees are asked to surrender their ego and focus their mind on the Almighty instead. Spiritual traditions don’t exist to inflate one’s self importance or encourage a superiority complex. Rather they exist to purify one’s heart, mind, and soul as well as motivating people to reduce suffering in the world. Dharma Deen Alliance is here to share Hindu and Muslim teachings that are illuminating. It will underscore wisdom and quote scriptures of both creeds while reinforcing that common features exist in both traditions. But most importantly it will focus on each religions’ methods to connect with the Divine. 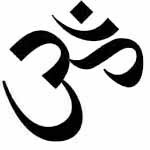 The word dharma is Sanskrit and deen Arabic. Both loosely defined mean “righteousness” or “path” – specifically the spiritual path. A true devotee’s goal is following this path – not wasting time on petty issues, not rivalry about which religion is superior, not bothering with extremist ideology, or seeking converts. Rather the goal should be to sharpen one’s own individual path, and this blog hopes to contribute to that process. Hi there Ravi, Im totally in love with this blog. Could you tell me your email for I ask you more information about Ramakrishna realizations? Thank you! Hi Jane, glad you like our site. You can email dharmadeen at gmail dot com. Keep in mind though that Azeem (our Muslim blogger) is actually more familiar with Ramakrishna than I am. But whatever email you send we’ll both see it. — Islam doesn’t have the concept of karma. Karma doesn’t work without believing in reincarnation….and Islam doesn’t believe in reincarnation. If this is the level of depth with which you have embarked upon this website, then Allah help you. You are ready to be digested by Islam. Dear Manish, citing reincarnation is irrelevant. We’re not worried about telling anyone what they should believe after they die – we are concerned with what you do while you are ALIVE right NOW on this planet. The afterlife is controlled by the Creator, not by humans. We can control what we do right now though. If you choose to go through life disliking non-Hindus, well that is time wasted not contemplating or loving God. Devoting your mind to always think about God is explained in our scripture the Bhagavad Gita. Karma as explained in the Quran: “Mischief has appeared on land and sea because of the hands of men have earned, that (God) may give them a taste of some of their deeds: in order that they may turn back (from Evil). 30:41. As for being “digested” by Islam both Azeem and I are against converting other people to our religions. I’ve studied other religions and it simply made me a better Hindu. Sorry that you believe Hindus are so weak minded that they can switch and change religious belief that easily. How does that explain Karma? The thing is that the concept of Karma is very different and very uniqe, there is nothing like that in Islam. It is like applies and oranges. No point in locating artificial / superficial similarities. No harm in admitting differences.